[ Editor’s note: What on earth are the English doing, and why should anybody care? Well, we must and do care, because on English soil stands one leg of the NWO Triad. I recall reading that it was at the Battle of Trafalgar when twenty-seven British ships led by Admiral Nelson, defeated thirty-three French and Spanish ships, capturing 22 Franco-Spanish vessels without losing a single British ship. This decisive naval battle of the war stopped French plans for invading England and graphically illustrated English resolve. One of VT’s standard bearers of analytical thinking, Seth Ferris presents a lucid explanation of what went on this month when His Holiness Kirill, Patriarch of Moscow and All Russia, visited Queen Elizabeth II at Buckingham Palace. Parts of Europe, particularly Rome, must have been keenly interested. As Seth Ferris notes, Patriarch Kirill is far from being an apologist for Russian politics, but it is his church’s potential to destabilize the state, given “the potential willingness of members of the officially Anglican Royal Family to embrace” the Orthodox Church, that comes under scrutiny. 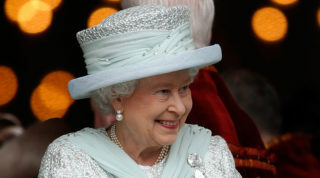 And to further translate this into an American dialect, Queen Elizabeth II is currently the “Supreme Governor of the Church of England and her role is largely ceremonial.” Yet, the Queen occupies a special pulpit in the fabric of English life, and the preferences of the Queen’s family subtly influence English hearts and minds. It is the similarities between the Church of England and the Orthodox Church that has the NWO and Rome on high alert, rather than the differences, because if the NWO is to seat a One-World One-Religion Ruler, such as the Bishop of Rome, then it will need to firmly discourage any alternatives. And, under the Orthodox Church, the Bishop of Rome’s authority is no greater or less than any of his fellow Bishops in the church, so he does not have primacy in the Orthodox Church. And, before the pope could have jurisdiction within Orthodoxy, the papacy would need to be reformed in accordance with Orthodoxy. One of the stumbling blocks is that, in the Orthodox Church, papal infallibility is rejected because it is believed that the Holy Spirit acts to guide the church into truth — for instance, via ecumenical councils. As the world now knows, British bank NatWest, part of the Royal Bank of Scotland group, has told Russian media outlet RT that it should take its business elsewhere. Initially it was reported that the bank had “frozen” RT’s accounts, meaning it had impounded the money, but it now says that the accounts have merely been closed, meaning that RT can withdraw its money – provided it then takes it to another bank. 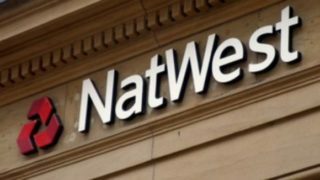 NatWest, and the rest of the Royal Bank of Scotland group, are effectively owned by the British government, which acquired the majority share in 2008 to prevent it collapsing. As RT is also state-owned, it has been inferred that this is another form of sanction. British Foreign Secretary Boris Johnson denies this, but he also denies several of his children, several parts of his ancestry and practically everything else he has ever written or been recorded saying. It has also been suggested that this move, which came without warning, was connected with potential fines against the bank for holding money considered “dirty” by association with Russia – though the government fining itself to pay itself seems unlikely. It may therefore be simply a publicity stunt – the UK has to be seen to be acting against Russia as part of the sanctions regime, and may be perfectly happy for RT to take its business to a private UK bank, or even another publicly-owned one, having done its bit of public posturing. However the real reason for this move is not sanctions against the Russian state. It is because a seemingly unimportant event has the potential to shake the foundations of the United Kingdom – and those in the corridors of power have just woken up to it. The closing of RT’s accounts, if it finally happens, may simply be a symbolic gesture, but it may be the precursor to a more serious crisis, which no one thought they would ever see again. From October 15-18 Kyril, Patriarch of Moscow, visited the United Kingdom. There is a growing Orthodox diaspora in the UK, as there is in all Western countries, and also a small but well-established British-born Orthodox community and a number of majority British, English-language parishes. However, Orthodoxy is still a very small religion there – though figures are hard to come by, no more than 7% of the population would currently identify themselves as Orthodox, despite the large Greek Cypriot community which owns the plurality of the UK’s Orthodox churches. The Church of England adheres to a doctrine called Branch Theory – the idea that various different Christian “denominations”, as they call them, are branches of the same basic church. Consequently religious leaders in general are treated with respect, even if people greatly disagree with their faith. When Pope John Paul II visited the UK in 1982 he was treated as a pop star, despite a few insignificant protests by Protestant or far-right groups. No particular fuss is made when leaders of other faiths enter the country from abroad, despite the hysteria surrounding so-called “Muslim hate preachers” who are no more radical than the Bible-bashers who have the greatest objection to them. But how was Patriarch Kyril treated? With respect by those who met him – but not by the media or the political class. 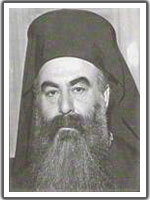 When Archbishop Makarios, who had been a politician in public office contrary to the Canons of the Church, visited the UK in the 1970s, he was shown entering churches and attracting crowds who cheered him so hard they damaged the buildings. 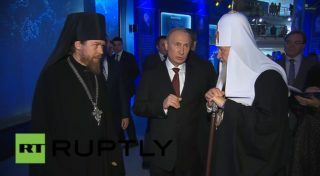 Patriarch Kyril was presented as an apologist for Vladimir Putin and Russia’s alleged actions in Syria, who had been sent on a propaganda mission. The Patriarch was not in the UK to talk politics, and there is no suggestion that he actually did so. The focus of his visit was to finally consecrate the Russian cathedral at Ennismore Gardens, London, a former Anglican church which the Russian church has been using since the 1950s. But the thing which most upset certain commentators was the fact that he was due to have an audience with the Queen, as visiting dignitaries usually do. The implication of the widespread concern about the Queen agreeing to this private meeting was that she was sympathetic to Russia’s position on Syria. The UK has a constitutional monarchy, and consequently the Queen does not dictate government policy. If the Queen has a personal position on anything she will only make it public if she feels her government is making a serious error and will not listen to reason – which has happened only once during her 64-year reign, when she famously let it be known that she felt Margaret Thatcher’s policies were damaging the social fabric of the country. So why should the press and politicians be so outraged about the possibility of Patriarch Kyril giving the Queen opinions she can read on the internet, or in some of the hundreds of letters she receives daily from disgruntled citizens? It is because they are trying to disguise the real reason for their fear. It has nothing to do with politics and everything to do with the Orthodox Church, which happens to be the majority religion in Russia. No one minds ordinary citizens taking an interest in Orthodoxy. But the Royal Family? That’s a different question entirely. The Queen is not only a monarch but the head of the Church of England. Though it seems anomalous to others that a church is run by a secular ruler, who could not even be ordained a bishop in that church if she wanted to, this is the way it has been since Henry VIII broke with Rome in 1534 so he could get a divorce. The state that became the UK was built on the Anglican faith and the political assumptions that went with that, despite the non-Anglican majorities in Scotland, Wales and Ireland. For three hundred and fifty years the “Catholic Powers” were seen as national enemies in the same way the “Iron Curtain” countries were in the second half of the twentieth century. Consequently each member of the Royal Family is also obliged to uphold the primacy of the Church of England, whether they are religious or not. From time to time, this has created problems. The Abdication Crisis of 1936 was caused by the King of England wanting to marry a twice-divorced woman, which the church considered a no-no at the time. Similarly, Tony Blair only announced his conversion to Roman Catholicism after he had resigned as Prime Minister, because the PM is included in the line of succession to the throne, and could be an atheist but not a Papist in that role. The question of whether the Church of England accepts divorce and remarriage – which is not at all clear cut – has reared its head several times in recent years due to the marital problems of the Royal Family. Prince Charles and Princess Anne have divorced and remarried, each time conducting their second marriages outside the Church of England. If Charles does eventually succeed to the throne, the question of whether he can be head of the Church of England whilst divorced and remarried outside it will come back to the forefront. In 1977, a story went round the press that Charles was about to marry Princess Marie Astrid of Luxembourg. According to sources close to the action a marriage had actually been arranged behind the scenes, but did not proceed because the princess refused to give up her Roman Catholic faith, as she would be obliged to do to marry the future king under the Act of Succession of 1701. However Buckingham Palace responded to the reports by saying that Charles didn’t even know the princess, a ridiculous assertion, as all Europe’s royals are related and attend functions where they meet each other. This demonstrates how deep the fear of rocking the constitutional boat by not supporting the C of E runs. The Queen’s husband, Prince Philip, was born and baptised Orthodox, as a Prince of Greece. He renounced his Faith to marry Princess Elizabeth, as she then was, and regularly attends Anglican services with the rest of the family. However it is an open secret that he has returned to Orthodoxy privately. He is known to make very generous donations to Orthodox churches and causes and is a patron of the Institute for Orthodox Christian Studies in Cambridge. Prince Charles also has a longstanding interest in Orthodoxy: amongst other expressions of it, he has refused to join the Freemasons, despite this being expected of members of the British upper class. When the Queen met the Pope on his 1982 visit, it caused some comment, but nothing like the controversy provoked by her meeting Patriarch Kyril. If the UK ever started to support Putin’s position on anything, it would not be the end of civilization as we know it. If the heir to the throne converted to his father’s ancestral faith, and the link between the state and the Church of England was forcibly broken, it would call the whole political basis of the UK into question. That is a can of worms no one dares open – for which RT is now being made the scapegoat, because no one is prepared to publicly discuss just how big a question this seemingly abstruse point really is. 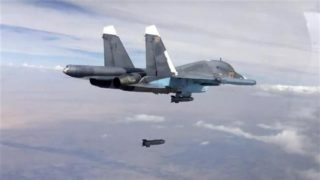 Are Russian and Syrian air power crushing the NATO-supported rebel attacks? British banks are entitled to freeze accounts under certain circumstances. If an account contains the proceeds of crime, these can now be impounded by the courts. Similarly it is a criminal offence in the UK, under the Terrorism Act 2000, to provide financial or any other support to terrorists, regardless of what the UK government itself does. Banks are terrified of this law, and interpret it with a strictness which is itself illegal. There have been many instances of ethnic minority community organisations being unable to open bank accounts unless they sack their officers and appoint British people, on the grounds that simply by being run by foreigners they might be laundering money for terrorists. If there is any hint of impropriety about an organisation run by a foreign state, they will naturally review that information to protect themselves. But it is usually the courts who impound the proceeds of crime. The arbitrary closure of RT’s accounts, without explanation, therefore implies that it is being accused of sponsoring terrorism. Theresa May’s response that “it is for them [the bank] to decide who they offer services to based on their own risk appetite” suggests that this is exactly what the government wants to accuse it of. Who said anything about risk being the reason, and how does the government know about the decisions the bank makes on individual accounts and the reasons for them? So the assumption that this is about Syria suits the narrative we have heard to date. But if so, why now? Has the bank only just become nervous of being fined by its own owners? Is it only now aware of the sanctions regime, or the British government’s position on this conflict? The Church of England, the pillar on which the British state was built, has long had ostensibly good relations with the Orthodox communities in the UK. 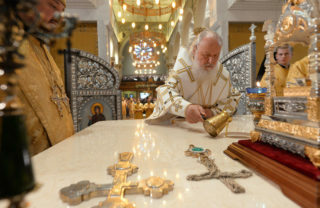 Many Orthodox parishes worship in former or still-functioning Anglican churches, and successive Archbishops of Canterbury have expressed their respect for Orthodoxy. Until, that is, the Church stops being a weird foreign sect. Then it becomes a threat which has to be dealt with, and always is. In 1988, the head of the Greek Orthodox Church in the UK, Archbishop Methodios, was deposed for “coveting other thrones”, whatever that may mean. It was widely believed that the real reason was because the Church of England objected to him receiving a number of its priests and many ordinary parishioners. He was replaced by Archbishop Gregorios, who began by stating publicly many times that he did not encourage people to convert to the Church he served. A student in Greece wrote a thesis about the deposition of Archbishop Methodios, which the university not only refused to publish but used as an excuse to kick him out of university. The website of the Greek Archdiocese in the UK makes no mention of why Methodios ceased to be bishop, or what he did subsequently, despite the fact he lived another eighteen years as a titular bishop. Now the head of another Orthodox national jurisdiction has visited the UK and been vilified in a way unprecendented for a religious leader since Catholics were allowed back into the country. Rather than being met with protests from angry Britishers, he was received with the traditional courtesy of religious leaders. His potential to destabilise the state does not derive from his connections but from the potential willingness of members of the officially Anglican Royal Family to embrace his Faith. So that Faith must be presented as politically dangerous, its hierarchs as political stooges, to scare people, and their Royal Family, away from it. RT has been inundated with messages of support from UK citizens. Most of these assume that the bank’s decision is politically motivated. Indeed it is – but it is the identity of the UK and its institutions, rather than whether you think Assad is a terrorist, which is the political issue driving it. 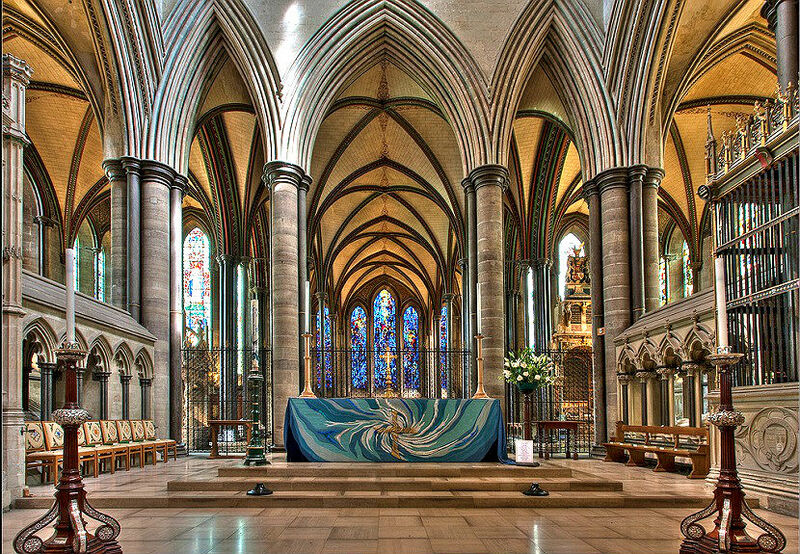 We have added this link to the consecration of the Cathedral in London as a special treat on Seth’s article. Some might see it as a beautiful ceremony.